Powerful tools in a friendly package. The Fargo Asure ID user interface offers much more than good looks. It provides a dramatic speed boost to designing cards and entering cardholder data. Everything you need to design and populate a card is right in front of you, and routine tasks can be performed with a couple of mouse clicks. It's a breeze to capture or load a photo, or add a digitized signature. A Data Entry Center with configurable on-screen data fields lets users set up an efficient data entry sequence independent of how the data appears on a card, or is structured in a database. 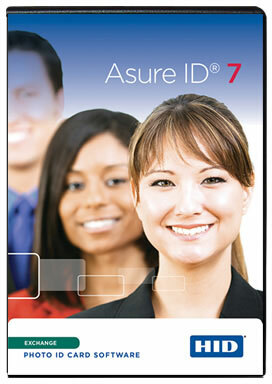 For many users, the Asure ID internal database is all they need to store card templates and cardholder information. But with Live Link, you can also print card data from external databases such as HR, security or ERP. The Live Link Wizard sets up real time data exchanges with a few mouse clicks. At print time, Live Link accesses and delivers the data that populates the external data fields on each card. The Fargo 86414 is also known as Fargo Electronics	FGO-86414	.